The IUCN SSC Species Monitoring Specialist Group works with a range of partners, collaborators and donors to implement a diversity of activities and projects to deliver its mission. Currently (as of 8 April 2019) the group has 6 projects delivering on two initial programmes. Follow us on Twitter for all the latest project updates. Aim: To conduct a global audit of biodiversity monitoring to identify gaps that need filling in data and capacity worldwide. The project involves literature reviews, web searches, online surveys of stakeholders, and deep dives into selected countries and databases. Project outputs will include an open access database on species monitoring schemes, to connect data providers and decision makers. Project goal: By end 2019, conservationists are aware of the priorities for filling gaps in data on species, their habitats and threats and for building the capacity necessary to monitor biodiversity. Main partners: Birdlife International, IUCN, RSPB, UNEP-WCMC, University of Cambridge, Zoological Society of London. Project start-up meeting held in Cambridge with partners and collaborators in November 2017 to define project scope. Project assistant started work January 2018. Systematic search for monitoring schemes was conducted throughout 2018 in parallel to a web-based survey of key stakeholders. In depth assessments to identify national monitoring schemes were also conducted by partner agencies in 7 countries: Argentina, China, Colombia, Ghana, Indonesia, Kazakhstan and South Africa. Project partners met on 14 January 2019 to review the data collected and prepare the analyses. Data analysis is now underway and two papers are being drafted. Aim: To review project reports and databases for species conservation programmes to identify taxonomic and geographic trends in the availability of biodiversity data (especially relating to status and threats). Project goal: By 2019, recommendations available to conservation donors on how to improve biodiversity monitoring in their portfolios. Main partner: IUCN Save our Species (SOS) Programme. SOS reports have been reviewed, and a paper is being developed to share the results through a peer-reviewed journal. 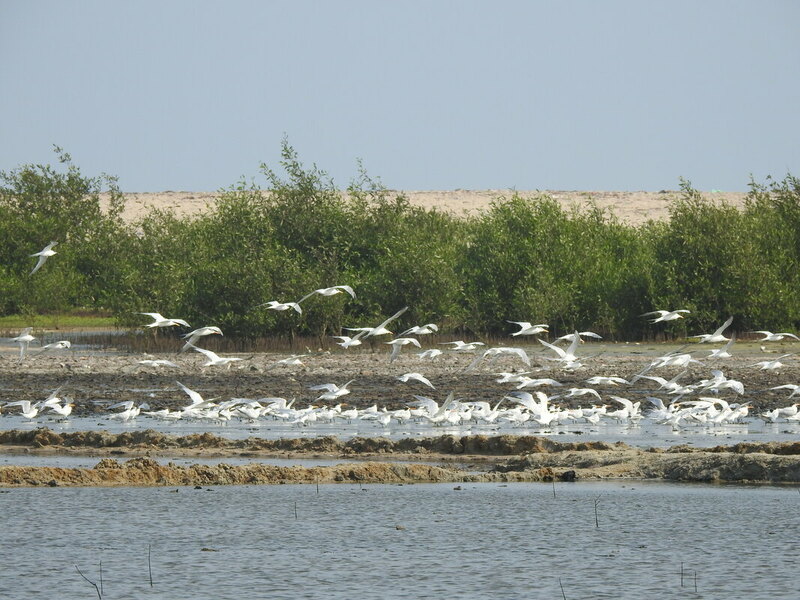 We are discussing a repeat of the exercise with other partners such as the Mohamed Bin Zayed Species Conservation Fund. Aim: To conduct a survey of the IUCN Species Survival Commission taxonomic specialist groups to seek expert opinion to identify taxonomic and geographic trends in the availability of species data (especially relating to Red List assessments). Project goal: By 2019, biodiversity data gaps hindering IUCN Red List assessments are mapped. Main partners: IUCN Species Survival Commission. The survey was conducted in 2017 by Laura van Galen (a volunteer with the SMSG). Results have been shared at various meetings and will help inform the Groups priority setting exercise in 2019. Aim: Many businesses are beginning to strive for a net positive impact on the environment, but are struggling to find ways to plan and monitor their efforts. This project started by developing a proposed monitoring and reporting framework for the energy company Enel and, as we move into a second phase, we are aiming to: a) test the proposed system in a number of pilot Enel offices; b) encourage a broader group of companies from diverse sectors to follow suit; and c) work to bridge the gap between science and business practice by identifying and testing a biodiversity indicator framework that can be replicated at different scales across sectors. The main output of this work will be a publication in 2020 entitled IUCN Guidelines for Planning and Monitoring Biodiversity Performance: Using Results-based Management to Facilitate Biodiversity Data Aggregation in Business. Project goal: By end 2020, at least three companies are making environmental decisions based on biodiversity data. Main partners: IUCN Global Business & Biodiversity Programme, Enel, Fauna & Flora International, Nespresso, University of Oxford, UNEP-WCMC. 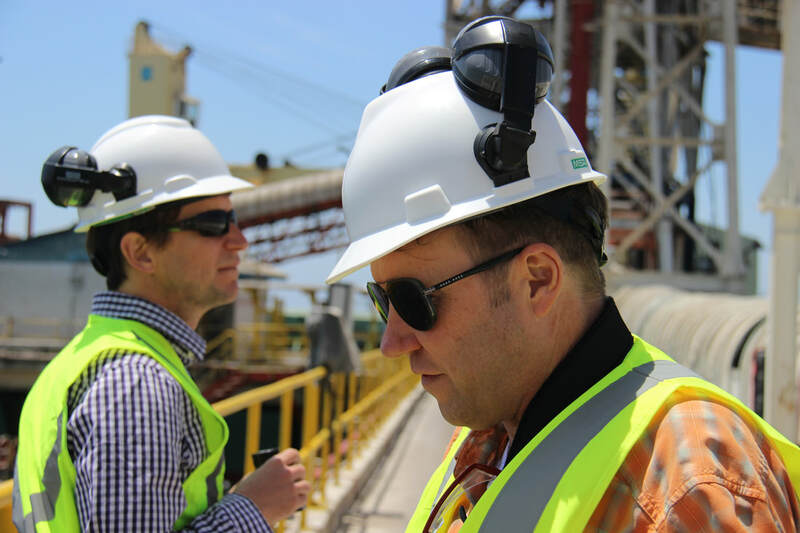 Dr PJ Stephenson of the IUCN SSC Species Monitoring Specialist Group (right), working with Dr Guy Parker of Fauna & Flora International's business team, to assess biodiversity monitoring needs of an Enel power plant in Chile. In 2017, missions to Enel sites provided company-specific recommendations on improving planning, monitoring and reporting frameworks at site, national and corporate levels; these were presented to the company in 2018. In 2018, we also worked with project partners to explore a) how best to roll out and scale up the work to include other companies, and b) how to define key corporate biodiversity indicators.This included a partners workshop on 7 September hosted by Oxford University, UK. In early 2019 we drafted key elements of a guidance document entitled IUCN Guidelines for Planning and Monitoring Biodiversity Performance: Using Results-based Management to Facilitate Biodiversity Data Aggregation in Business. We will now test this approach further with companies such as Nespresso. As a precursor to this work, a meeting was held in March with staff from Nespresso to discuss goal-setting for biodiversity. Addison, P., Stephenson, P.J., Carbone, G. & McCormick, N. 2018. Bridging the Gap Between Science and Business Practice for Biodiversity Indicator Development: Workshop Summary Report, October 2018. Interdisciplinary Centre for Conservation Science, University of Oxford & the IUCN Global Business and Biodiversity Programme. 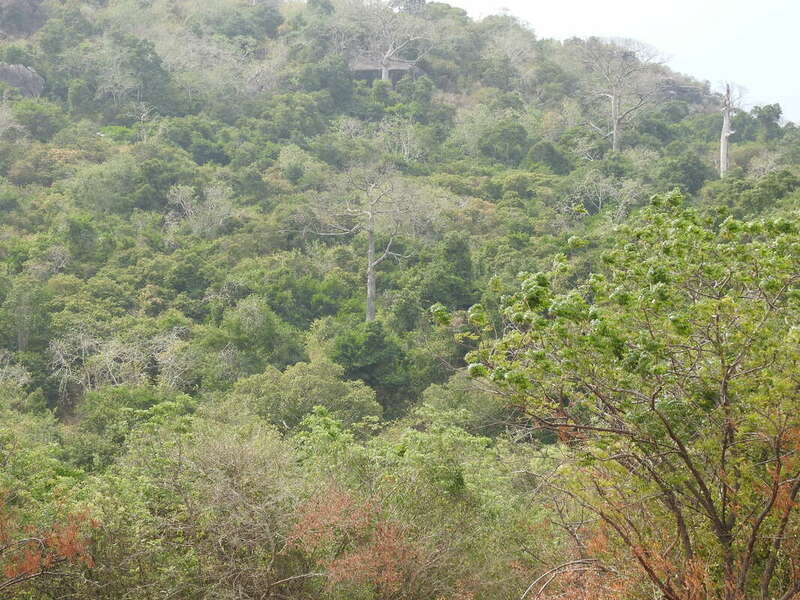 Aim: To enhance the conservation of forest and estuarine ecosystems in Ghana by improving capacity for evidence-based protected area management. We will develop and test species monitoring tools that meet local and global policy makers’ needs at two sites and train protected area managers and NGO staff, as well as developing university field courses for Ghanaian students. Project start-up meeting held in Accra 30 January 2019. Partners from Ghanaian government agencies, NGOs & the University of Ghana discussed priorities for establishing biodiversity monitoring in the two project sites: Shai Hills Resource Reserve and Songor Lagoon Ramsar site. Project team currently putting in place a group of experts who will help set up monitoring plans for both PAs in the second half of 2019. 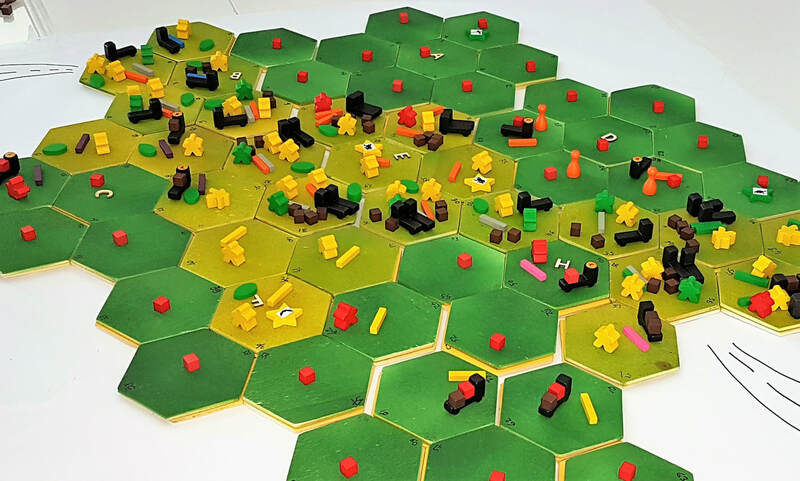 The role-playing game, MineSet, developed by researchers at ETH Zürich to facilitate stakeholder dialogue on natural resource management issues, was tested by IUCN teams in 2018. Aim: For any environmental management and monitoring systems to work, stakeholders need to be implicated from the outset. The Forest and Development Group at ETH Zürich has developed a method to enhance the mutual understanding of key environmental issues. The method, called MineSet, uses role-playing to facilitate open discussions and develop consensus among diverse stakeholders. We facilitated a one-day workshop at IUCN HQ in September 2018 to test this method and evaluate its relevance and any adaptations needed before we apply it to protected areas. We are now exploring options for piloting the method in field sites. Project goal: By end 2020, enhanced stakeholder engagement ensures improved biodiversity management and monitoring in and around protected areas in at least three countries. Main partners: ETH Zürich (ForDev), IUCN Science & Economic Knowledge Unit, IUCN global programmes. A workshop on 25 September in IUCN HQ, Gland, Switzerland, allowed IUCN staff to test MineSet. Potential collaboration is now being explored with several programmes. Role-playing gaming elements are also being added to new specialist group project proposals to enhance stakeholder engagement and the understanding of the importance of data in decision-making. The Chair supported the IUCN Global Business and Biodiversity Programme in providing recommendations to the International Olympic Commission on ecological monitoring for the Beijing 2022 Olympic Winter Games. We continued to fund-raise for new and ongoing projects. We published several scientific papers and presented them at conferences to disseminate our findings and project results to raise awareness of the issues tackled by the Group. A recent paper summarizing the group's work can be found here. Finalize our strategic plan, including identification of priority taxa and geographies. 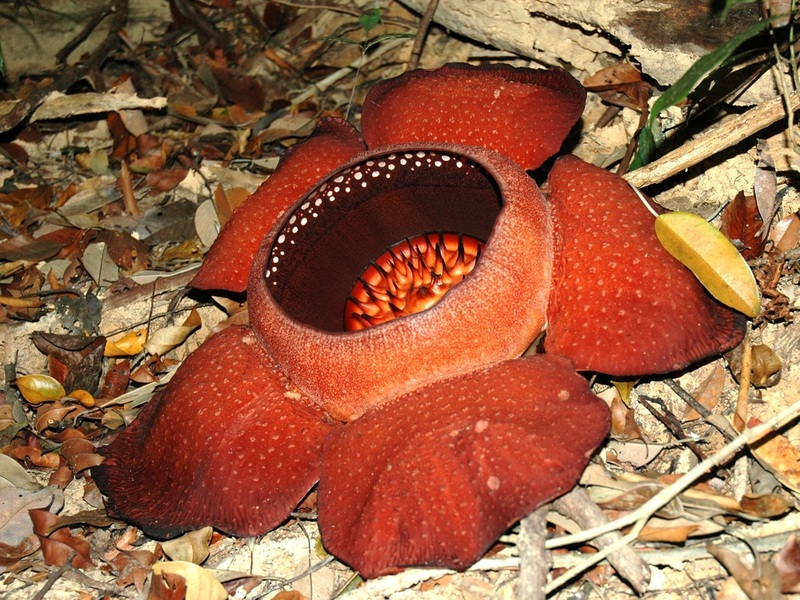 Hold a series of awareness raising and training webinars to introduce taxonomic specialist groups and other interested parties to available data and tools, and to showcase best practice examples. Identify at least 5 taxa for which standard monitoring protocols can be developed - and start work on them. Help at least 3 taxonomic specialist groups to develop monitoring plans.